Need Actionable Marketing Intelligence added to E-Mail Addresses You’ve Already Collected? With a Reverse E-Mail Append, you can add any of four valuable Standard Record Layouts to Your Prospect File. NAICS Association would be happy to process a small file at no cost to show the Accuracy and Efficiency of our service. This is why NAICS Association is the Top Data Append Company for all your Business E-Mail Needs. Give us a try – We will impress! Missing E-Mail Addresses From Your Database? NAICS Association offers top quality E-Mail Contacts for over 16.9 million Businesses Nationwide! What could be more valuable to your marketing efforts then adding Valid, Opt-in E-Mail Contacts to your existing Customer and Prospect Files. 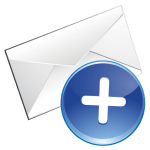 E-Mail Contacts are just one of Dozens of Data Elements which NAICS Association can Appended to your Business Databases. Purchasing an E-Mail list? Clickback can help. Use Clickback Lead Gen Edition to attract more leads. It uses ELG (E-Mail Lead Generation) software that enables B2B companies to turn non permission-based contacts or purchased data into permission-based leads. You’re looking for a constant flow of qualified leads to fill your funnel, and Marketing Automation and E-Mail Service Provider software are not optimized for you to send E-Mail campaigns to your non permission-based contacts for lead generation. Generate quality B2B leads today with Clickback’s smart, safe and integrated ELG software solutions. Search over 19 million US Businesses to find NAICS Codes, SIC Codes, DUNS Numbers, Company Size Information and More. View One Listing or Thousands.